European Parliament have voted to ban single-use Plastic by 2021! An apparent landslide vote by the Members of the European Parliament was actioned on Wednesday, 24th October to ban the production and distribution of single-use plastics. 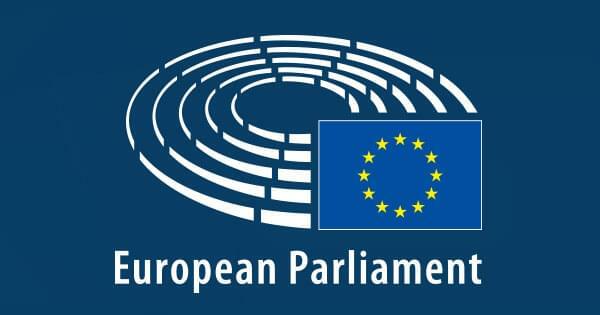 The voting took place in Strasbourg with 571 votes for the ban and 53 against, with 34 abstentions. These products include plastic materials that cannot be efficiently recycled such as plastic straws, cutlery, balloon sticks, cotton buds and polystyrene food containers to name but a few. The decision was warmly welcomed by the Green party who have been advocating this action for quite some time. Under the draft plans of this decision, the ban on these single-use products will come into effect from 2021 onwards. The proposed ban of these materials comes from the fact that more than 70% of waste in our oceans and on our beaches is due to the incorrect disposal of single-use plastics. The use of this type of material is inefficient for our global economy, and our ecosystem health. The health of our ecosystem, can have a very strong impact on our overall economy as many services that we acquire, come from the surrounding natural environment. Therefore, the vote for the ban of single-use plastics is absolutely vital for the global sustainability of our natural environment, which as a result, can improve the quality of our daily lives. The European Union’s Environment Commissioner, Karmenu Vella gave a statement at the vote: “Today we are one step closer to eliminating the most problematic single-use plastic products in Europe”. The plastic-ban will be implemented from 2021, with MEP’s aiming to have cut the use of specifically plastic food containers by 25% by 2025, as there are currently no practical alternatives for this product at the moment. In addition, our MEP’s will aim to ensure that at least 90% of all plastic drinking bottles are collected separately and correctly recycled by 2025. Why is this ban more important than ever? Plastic is one of the greatest threats to our natural environment’s sustainability. It poses a threat to humans in return, as the presence of plastic in the natural environment, is threatening species into near-extinction and extinction, in addition to destroying ecosystems, and declining the efficiency of the natural environment’s ability to provide ecosystem services. This collectively has proven to have a hugely negative impact on humans, whether immediate or in the near future. It has been forecasted that by 2050 there will be a global (including Europe) shortage in clean water and food availability. Therefore, the health of the natural environment to provide us with ecosystem services is pivotal if what has been forecasted by researchers and experts of this field is correct.